**NEW CLASS + GIVEAWAY** Neat & Tangled November 2015 Release Class! Hello! I am excited to announce a new upcoming class over at Be Inspired Cards! 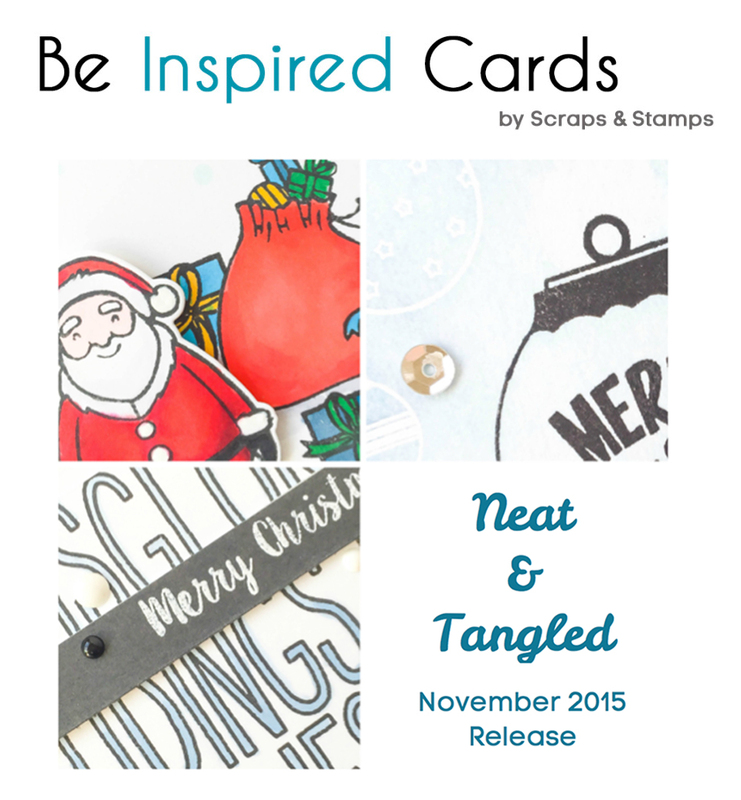 This time we are featuring Neat & Tangled November 2015 Release. The class is filled with inspiration, exclusive shipping discounts, and giveaways so you do not want to miss this! Class enrollment is open now, click HERE to sign up for the class. Class starts on November 13th, 2015! It has 7 video tutorials with lots of tips and tricks. And it is budget friendly! I hope you sign up for the class and join us in the classroom! Can’t wait to see you all there!! I am giving away 1 free spot to the class. If you already purchased the class and become a lucky winner, you will be refunded right away. Please leave me a comment below by November 12th, 11:50pm PST. Good luck! Your videos are always full of information and inspiring. I enjoy watching them very much! Sounds like fun. Thanks for the chance! I would love to take one of your classes! Thanks for the opportunity to win! Sounds like a lot of fun. Thanks for the chance. enjoy your blog and videos and card ideas thanks for the chance to win a class that’s awesome! Love your blog. Thanks for a chance to win a spot in the class. Thanks for offering a spot in the class. I’m sure it will offer lots of inspiration! Would so love to win a spot in this class! OOOOooo would love a class! Am in need of some serious inspiration!!! This looks like such a fun class! Thanks for the giveaway! Sounds like it would be so much fun! Thanks for the chance! The class sounds fabulous! I love Neat & Tangled! Thanks I would love to win a spot in this class! I would love to win a spot in the class. to get more ideas for using them.